It was just a scrap of paper, a small photograph lost behind a dresser, a picture of a man sunning himself on the beach. It might be just another family vacation snapshot from a time long ago, were the man not Charles Egan and the photographer not Aaron Siskind. This exhibition began as a collaboration between artists Jason Egan and Matthew Nash, known as Harvey Loves Harvey, with gallery owner Arlette Kayafas. The artists asked Arlette to choose a photographer and body of work, and they would respond. When she chose Aaron Siskind’s “Harlem Document,” a web of connections and coincidences emerged. From the 1940s through the 1960s, Siskind was part of the community of artists at Charles Egan Gallery in New York. This little space, showing work that was often very ahead of its time, was home to Franz Kline, Joseph Cornell, Willem De Kooning, and many others. At the center was Egan, a philosopher and thinker who wanted only to show interesting art and be among friends. He might be a forgotten part of art history, were it not for Egan Gallery’s hosting of so many important shows, including the first De Kooning exhibition in 1948. In collaborating with Kayafas, Harvey Loves Harvey had re-discovered Siskind’s partnership with Egan. 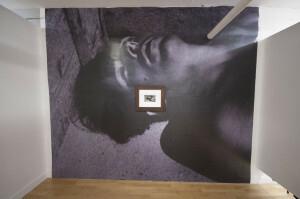 What emerged from this investigation is an exhibition that looks closely at the relationship between artists and those who represent their work to the public. 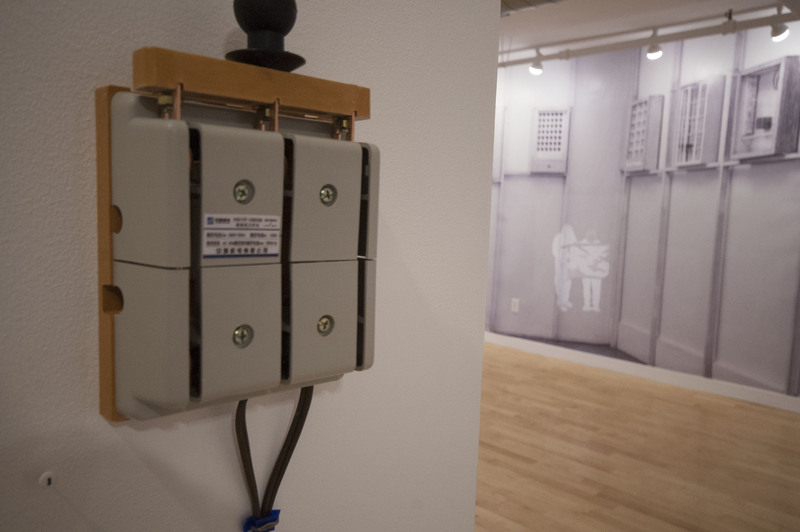 By merging the walls of Egan Gallery and Kayafas Gallery, the artists insert themselves into the interstices of time, imprinting their own actions on the the walls of two galleries at once. 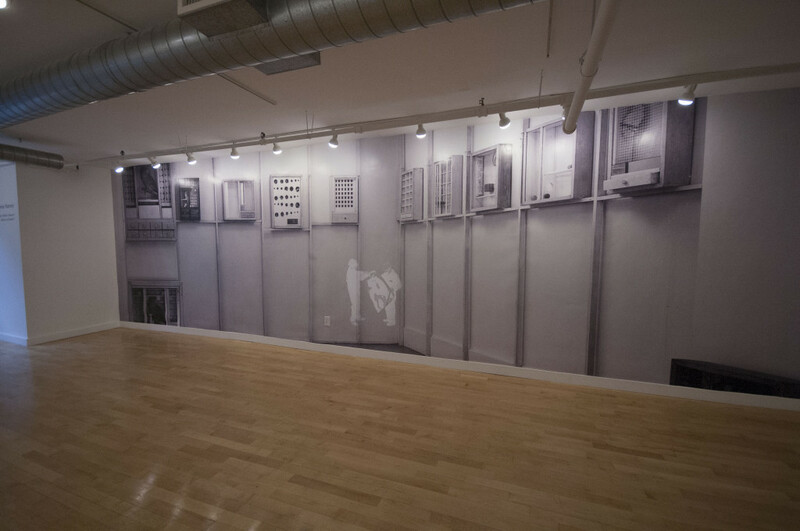 These slide projections of photographic negatives (or is it the exposing of a print?) mark with light what is fleeting in time. 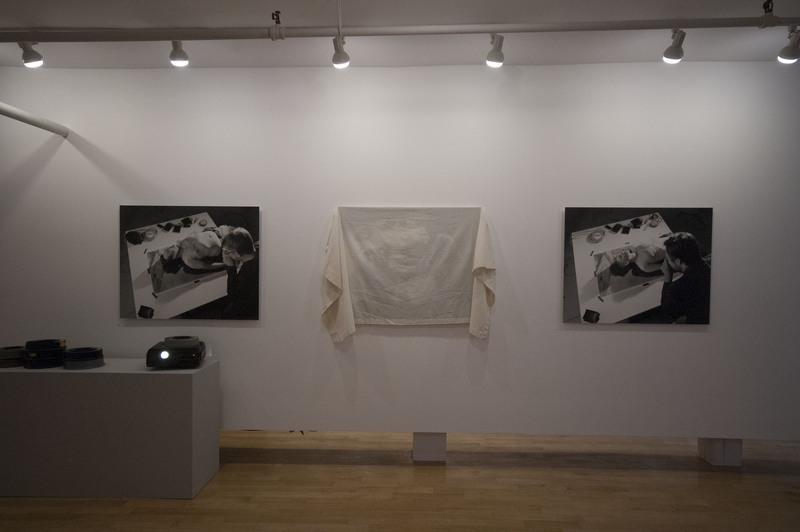 The artists await instruction from the gallery in a video performance of identity without action, and they re-enact the roles of Siskind and Egan from the discovered photo. The overlap between Siskind and Harvey is blurred repeatedly in this exhibition, drawing Kayafas further and further into the web of history, family and artist-gallery dynamics. Aaron’s “Harlem Document” attests to his vision, his presence in the gallery. Harvey Loves Harvey stands at attention, waiting. Arlette is at her desk, welcoming visitors. All that is missing is the final collaborator, the man whose presence is only visible in his absence. Aaron, Arlette, Harvey! Where is Charles? was created as an exhibition to be paired with Harlem Document by Aaron Siskind. 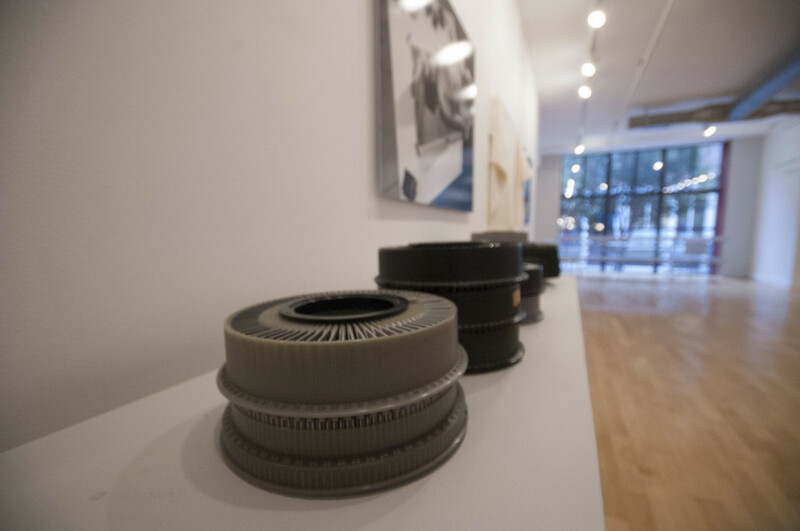 The work was on view at Gallery Kayafas from September 11 – October 17, 2015. 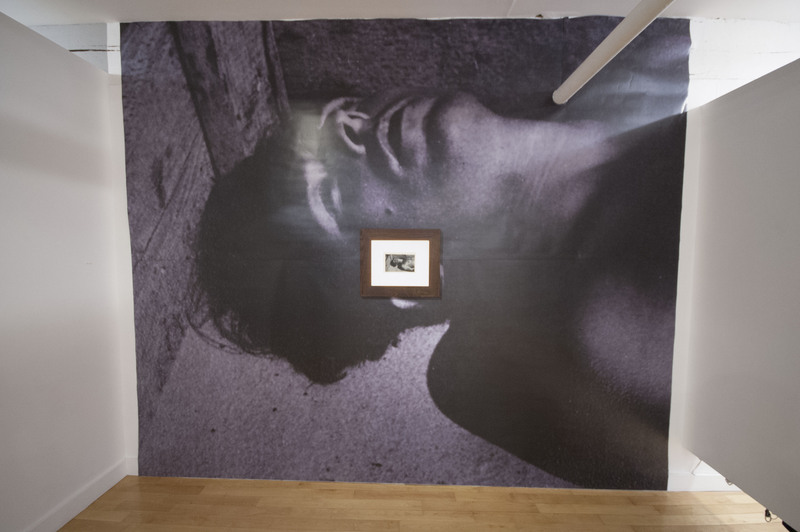 A slide projector shows images of HLH, projecting onto a wall of Gallery Kayafas that is also layered with a photo of Charles Egan Gallery, taken by Aaron Siskind. Which walls are we on? 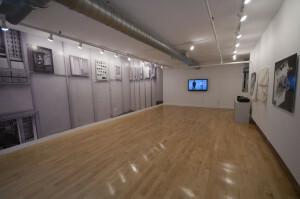 A view of the walls of Gallery Kayafas, merged with the walls of Charles Egan Gallery (via an Aaron Siskind photograph) and overlaid with projected images of HLH interacting with the space between. In order to completely turn over power to Arlette Kayafas, and to give over the whole HLH experience to her, a switch was installed that gave her power over the show. 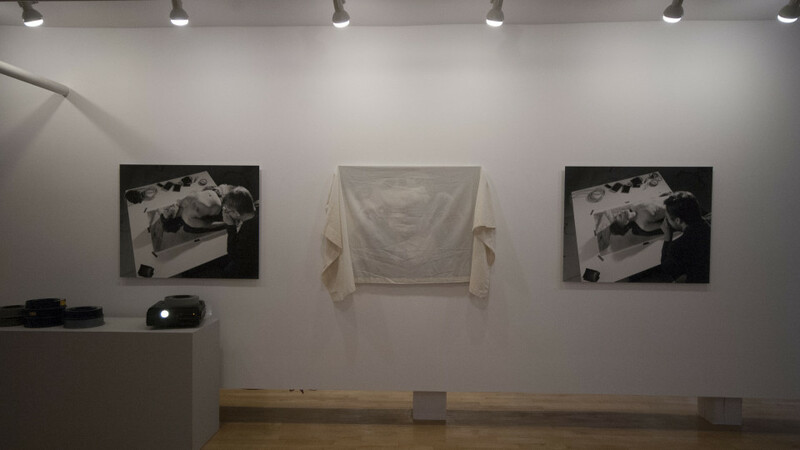 A center-piece of the exhibition are 3 photographs showing the artists re-creating the original photo that Siskind took of Egan. In one photo, Harvey (Matt) photographs Harvey (Jason) in the roles of Siskind and Egan. In another photo, the roles are reversed. In the final (center) image, they both photograph Kayafas as she plays the role of Charles. At the opening reception, there was a small moment of drama as HLH revealed the final image!